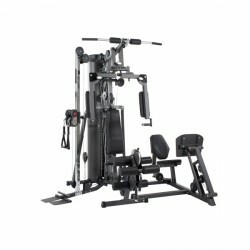 The compact multi-gym Finnlo Autark 600 is available in precious black design now. Anything else remains the same: the Finnlo multi-gym offers many exercise possibilities and needs small space. 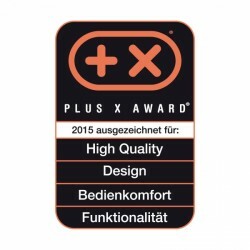 It fits perfectly in small fitness rooms with its height of not even 200 cm ! Less than 200 cm in height ! 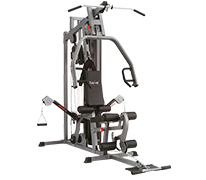 The Finnlo Maximum FT2 is a multi-gym for upscale training demand for doing countless free and guided exercises. The multitude results from the combination of two free cable controls with many locking possibilities for guided exercises. It stands for the safety of guided training plus functionality for free training. The Finnlo multi gym BioForce Extreme offers a very intensive muscle training almost silent thanks to the revolutionary TNT resistance technology (resistance based upon compressed nitrogen). The Finnlo multi gym BioForce Extreme combines modern deesign with all important functions a modern multi gym offers. 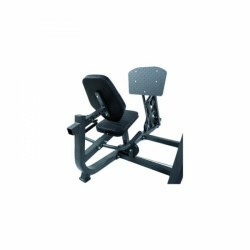 Extend your Finnlo Autark 2200 with a leg press, so that you can also do exercises for gluteal and thigh muscles. 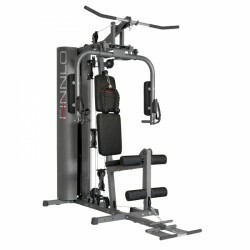 The Finno leg press can be easily attached to the Autark 2200 and extends it to the multi-gym Finnlo Autark 2500. The Finnlo multi-gym Bio Force Sport can produce resistances up to 100 kg, though it weighs itself solely 76 kg. The nitrogen resistance system is responsible for it, because it ensures that a weight block is not required. Do more than 100 exercises for the whole body with the Finnlo multi-gym Bio Force Sport. Do effective torso workouts with the Finnlo lat pull module Multi-Lat Tower. The cable control module offers lat pulls, arm curls, and rowing exercises. The training resistance can be individually adjusted with weight plates. A weight block is not required and the Finnlo lat pull module Multi-Lat Tower can even be moved to another place. I bought this machine because it can take a lot of weights, 120 kg. The minus is of course that it takes longer time to change the weights compared to machines with a weight cassette that use a pin. If you have 80 kilo on the bar and next you need only 20, well then you got to shuffle a lot of weights. 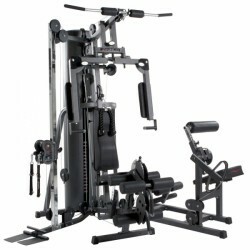 But for the smooth quality action this machine has, its fine for a homegym. 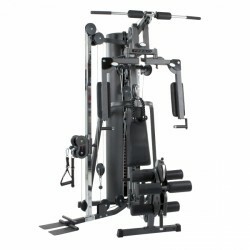 Bought the Finnlo Autark 2500 from sport-tiedje.co.uk in September 2014 and would have to say that the multi-gym is a testament to German engineering, as the quality and design is spot on. 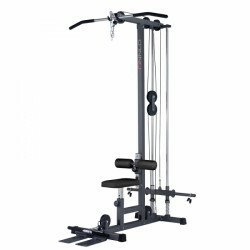 This machine is well worth the money and was £320.00 cheaper than Amazon and happened to be the new improved 2014 model (in black) Assembling the multi-gym was very easy as the manual was very easy to understand and follow with all nuts, bolts and clips clearly marked on each package. The packaging was almost to the extreme, as not one scratch was present on any of the parts. The main frame was also very well finished with a tough paint finish. Living in the far north of Scotland was always a concern regarding delivery, as most delivery companies penalise us for living in such a remote area, however we had nothing to worry about the delivery, as it arrived reasonably quickly. If you do have any issues, Julie was always happy to help with any enquiries about the products and delivery. I would not hesitate to recommend this product and company to anyone. 5 stars...... Stephen. Scotland. Very sturdy gym. Built well. Takes quite a while to put together, but it was worth it in the end. Very happy with my purchase. Either a workout for shoulders, chest, abs, gluteal muscles or legs - a Finnlo multi-gym fulfills all requirements you have in order to do a holistic strength training at home. We offer you Finnlo machines (i. e., the Finnlo multi-gym Autark, the Finnlo multi-gym Bio Force or the Maximum Stations) of different varieties and sizes, from beginner machines to semi-professional multi-gyms. Multi-gyms of Finnlo provide a high material quality and remarkable ergonomics and offer most modern technologies for an efficient workout at home. Train single muscles or whole muscle groups and get your whole body in shape with a Finnlo home gym. Besides the multi-functional usability, a Finnlo multi-gym convinces by its modern look and new technologies for an even more efficient and more sustainable strength training. 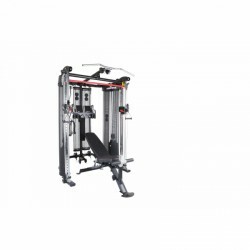 Regarding multi-gyms like the Finnlo multi-gym Bioforce Sport the resistance is not generated by classic weight stacks but by the revolutionary TNT technology based on compressed nitrogen.Several adjustment possibilities of seat and backrest can be done on the Finnlo multi-gym Autark 2500 for adapting the training position optimally to the specific physical conditions. Users, who wish to extend their workout and set new training stimuli, can use diverse attachments like additional cable pulls or the leg-curl function, which enrich the range of training. The high-quality upholsteries of a Finnlo multi-gym, which are always neetly sewn and do not lose their resistance even for frequent training, have to be emphasized. Moreover, Finnlo multi-gyms convince by their sturdy frames, which are essential for their stability. The high quality of frame and upholsteries guarantees an ergonomic workout with a Finnlo multi-gym and makes it a training partner of long durability. Ball-bearing rollers, plastics-encased steel ropes and many adjustment possibilities complete the Finnlo multi-gym - an ideal full package for everybody. free cable pulls for the perfect golf swing. 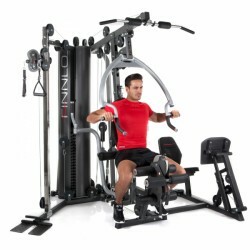 A Finnlo multi-gym is a super machine, when you want a comfortable training at home and look for approved training methods known from and offered by gyms or rehab centres. Either for muscle building, losing weight, rehab or prevention of injuries and problems - make the right choice (together with the Sport-Tiedje service) for strength training according to your needs with a Finnlo multi-gym.